Every now and then we fall in love with an appliance, a tool, a piece of equipment. 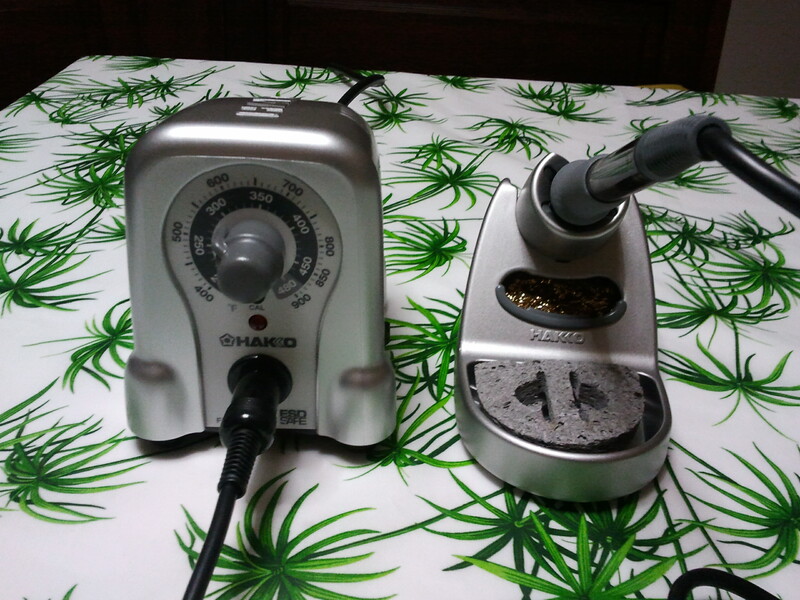 This time, it was a soldering station… but let’s start from the beginning. 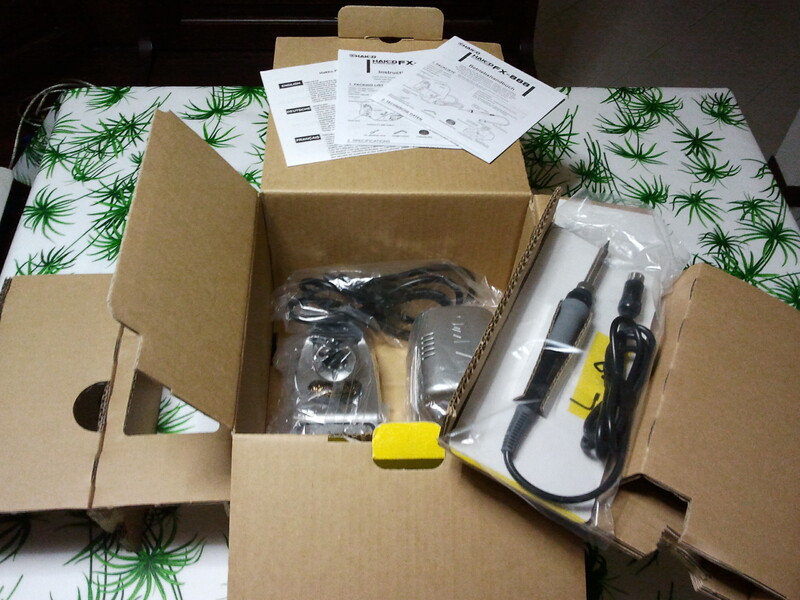 Being in need of a soldering station, I started to look for something relatively affordable, but with a good quality. Here in Europe, the obvious choice seems some low end Weller model, but: a) they are greatly overpriced and b) the non-professional line has received very poor reviews. After reading a bunch of forum threads and reviews, a company name stood out: Hakko. Everyone loved its products, especially the venerable model 936 (out of production), and its successor, the FX-888. Buy it here it’s not easy: almost nobody sells it online, even on the bay. Hopefully I’ve been able to get it through a local reseller. The FX-888 comes in a robust yellow cardboard box: opening it we find the manuals (a couple of sheets, actually) and the iron. Under that, there’s the station and the iron holder. Hakko has made quite a nice job with the look of the soldering station: it’s small (a nice feature when you’ve little space on the desk), it has a solid feel and a modern look. The temperature is written in Celsius and Fahrenheit, and a red led indicates when the temperature is reached. Probably a display with a digital readout of the iron temperature would’ve made a nice addon, but is more a whim than a real need. The FX-888 is a pleasure to use: the iron is light and comfortable, and the cord is very flexible. It reaches the temperature very quickly, and is extremely accurate. 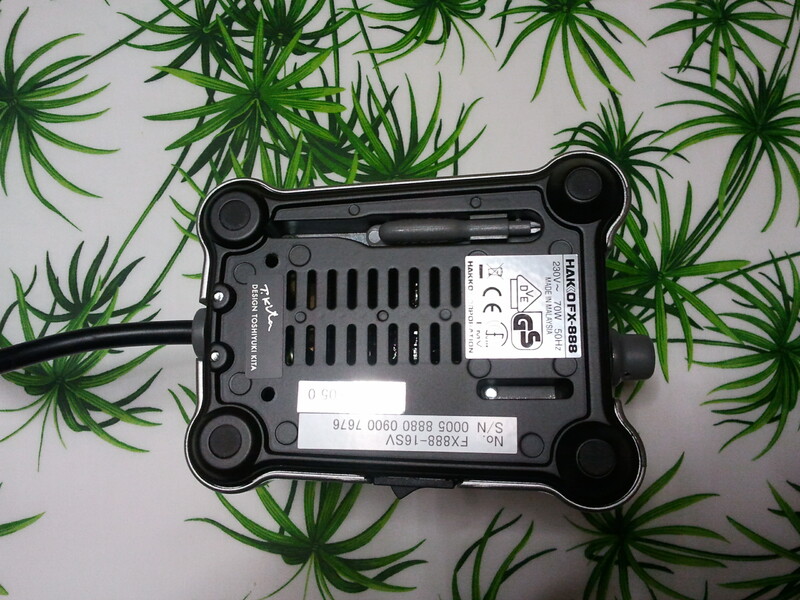 Also, during work, it keeps the temperature very well, something that isn’t found easily in the low-end stations. 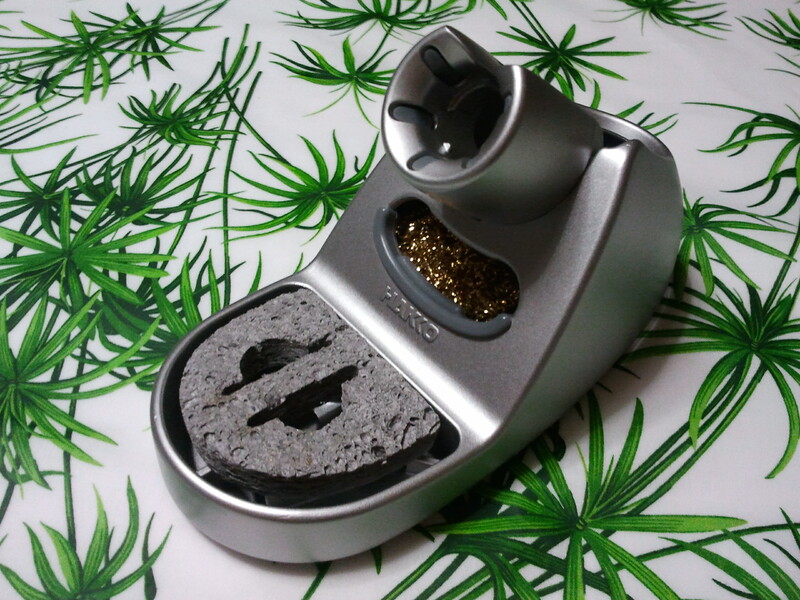 The holder is solid and spots three kinds of cleaners: the usual sponge, a cleaning rubber – to clean the iron without water, thus help in keeping the temperature – and a cleaning wire, to remove the oxide while keeping a bit of solder on the tip. The station is ESD safe (the iron is grounded), thus reducing the risk of electrostatic discharges that can damage your circuits. Also, the control knob can be locked in position, and under the base there’s a little screwdriver that can be used for thermal corrections. Of course this cannot be a fair review: I started the piece stating my infatuation for the object in question… but I felt the need to let know everyone looking for a soldering station with a reasonable price (I paid mine about €110), excellent quality and a broad range of tips to choose from, that this can be a good choice. Also, if you visit Hakko‘s site, you’ll find plenty of information on the station, tips and also a story (in the form of a personal diary) to learn soldering!